Ok, so I have been toying with this idea for a month or so. 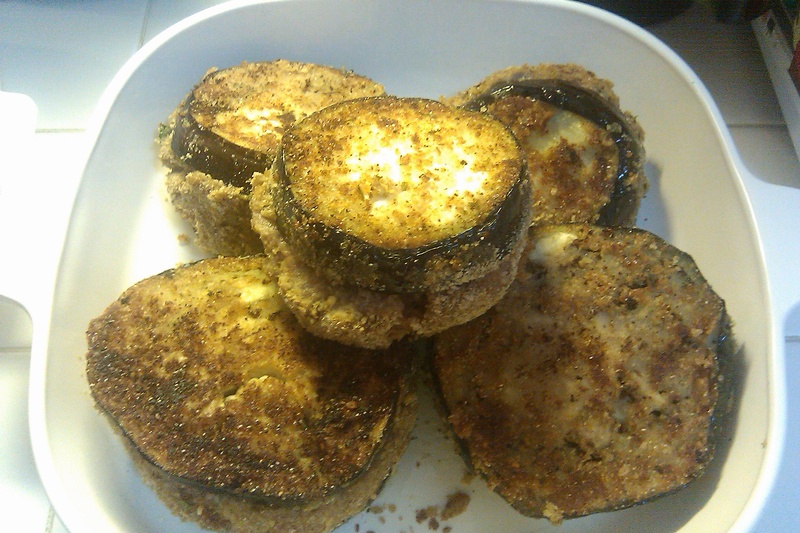 I was watching a TV show on cooking in Palestine and one of the chefs made a traditional dish, stuffing eggplant. Well, naturally, I loved the idea. Vegetables+Meat = Win. 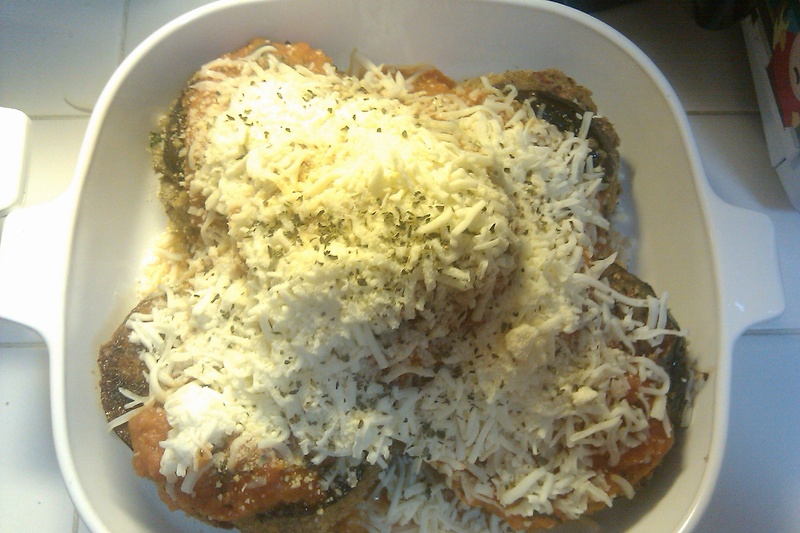 So I decided to try making up a version of this dish. Sauce: Saute Onions with garlic until onions start to turn slightly golden. 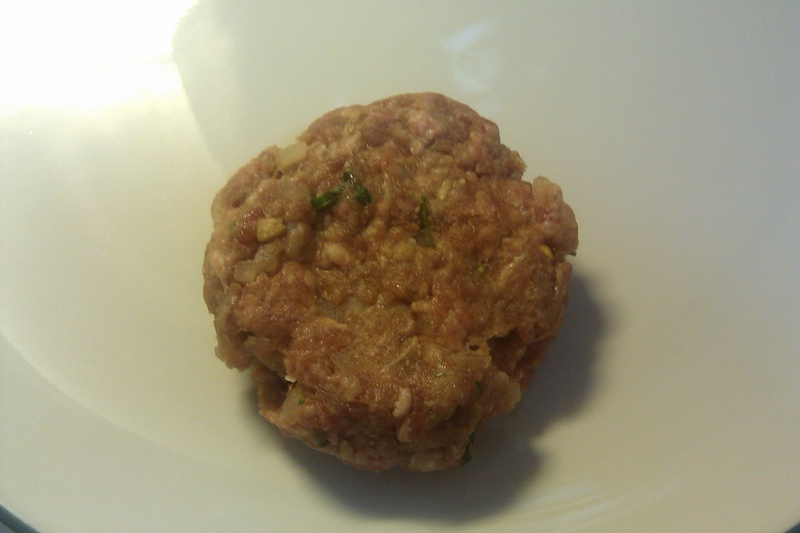 Transfer to a blender with remaining ingredients (except bay leaf) and chop (You want a chunky sauce). Return sauce to pot and add bay leaf. Let sauce simmer (Make sure you have a splatter guard) for about 1 hour. Taste and adjust seasoning to your taste. 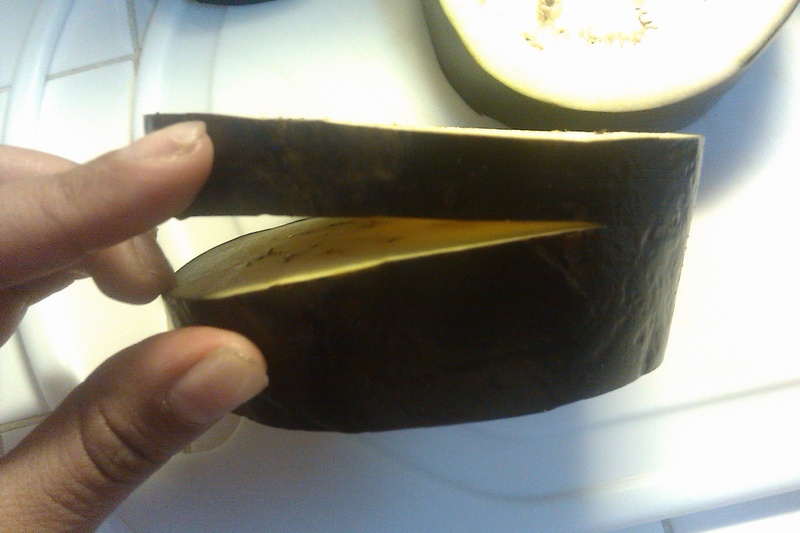 Cut thick slices of eggplant. In the center of each slice, make another cut, not cutting all the way through the slice. You will end up with one thick piece of eggplant that is like a sandwich. 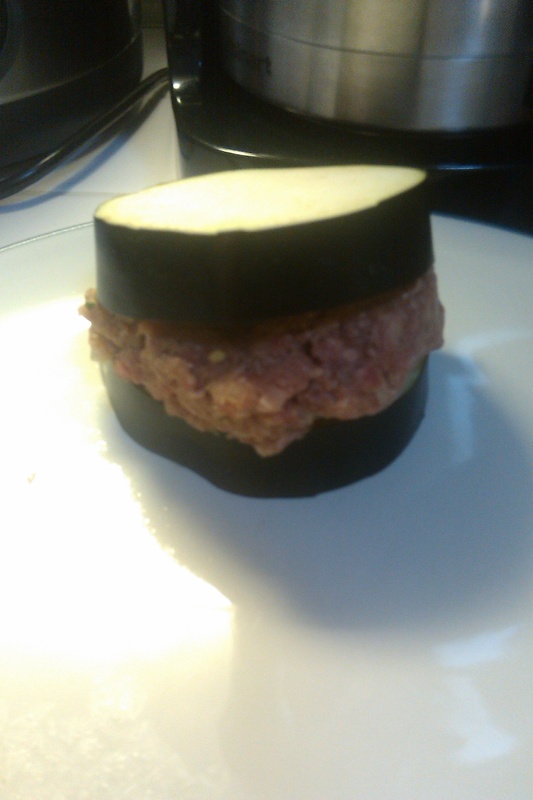 Make a small patty out of the stuffing mix and place it in between Eggplant slices. 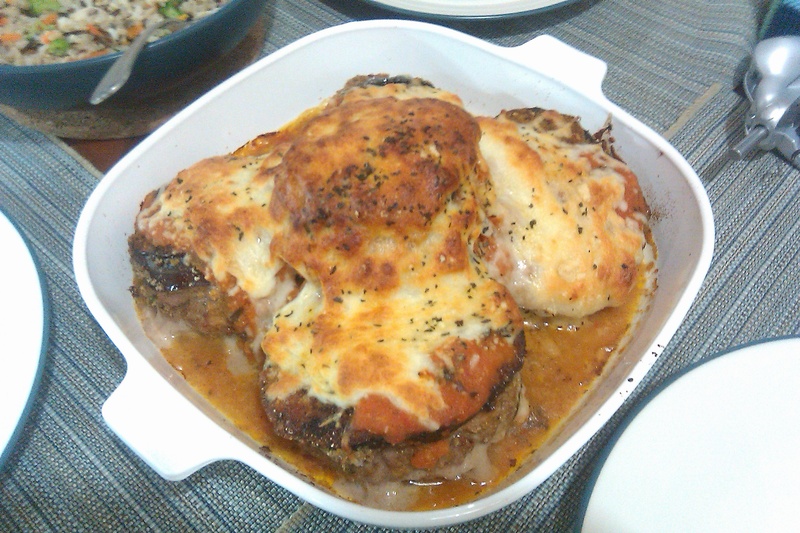 In a 425 F oven, bake for 20 minutes or until the meat and eggplant is cooked through. Nice. I stuff quite a few different vegetables and would be more than happy to share the recipes with you. 🙂 I am always looking for new recipes and ideas. You are a wonderful cook and I always love what you make! Thank you! I was a bit nervous because I was making most of it up, as I went. But I loved the results. Thank you for visiting my blog! These were pretty good. Different for me, but still tasty.